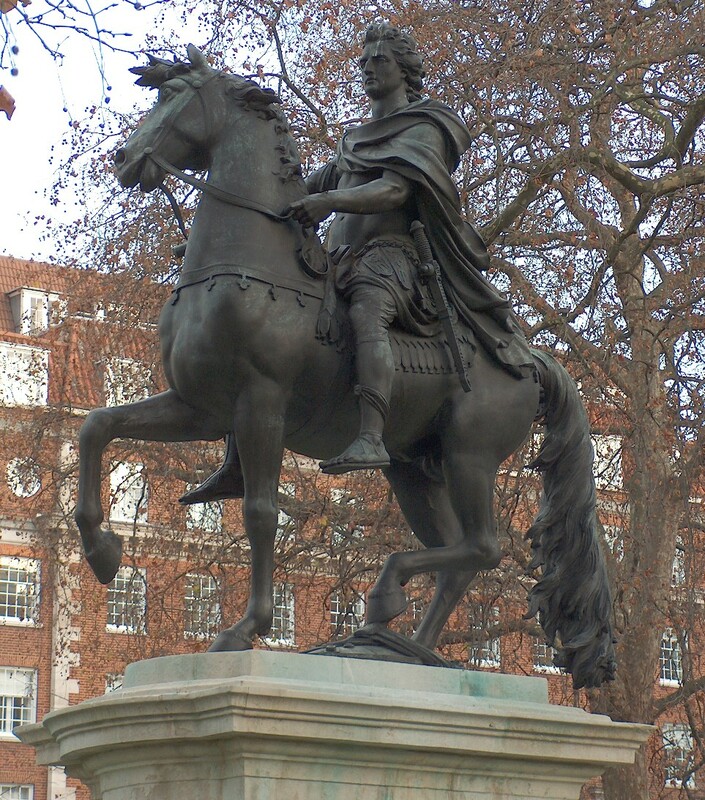 William III , by John Bacon Sr and John Bacon Jun. The sculptor John Bacon Junior, or John Bacon the Younger, received his initial training under his illustrious father, John Bacon RA, before going to the Royal Academy Schools at the age of 12 years old. By his mid teens, he was exhibiting at the Academy himself. 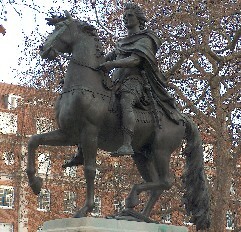 On his father's death, he completed his unfinished works, including the well-known William III in St James Square, London. He worked in a partnership with the monumental mason Samuel Manning to produce memorial sculpture. Bacon Jun. became a prolific and successful sculptor, perhaps too successful, and his later work tended to the formulaic, before he more or less retired in about 1830. 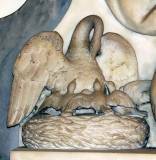 Small 'Pelican feeding her young', from a monument by Bacon Jun. However, at his best, Bacon Jun is very good indeed, and his large output, especially of monuments for churches and cathedrals, means it is easy to become acquainted with his work. His speciality was grieving women and angels, wearing clinging classical drapery over well rounded contours, in that way very reminiscent of the end rather than the beginning of the 19th Century. But the faces of his figures tended to the classical, Junoesque or even matronly rather than youthful, and in the shape around the lower face and chin, make his work recognisably and comfortably fit in their 1800s era. Likewise the poses, which for his tombs often tend to the lounging or casually cross-legged and leaning on elbow rather than something more expressive of heartfelt grief. Nevertheless, his work is always worth a detailed perusal, and in his drapery and his details, Bacon Jun. is hard to match. 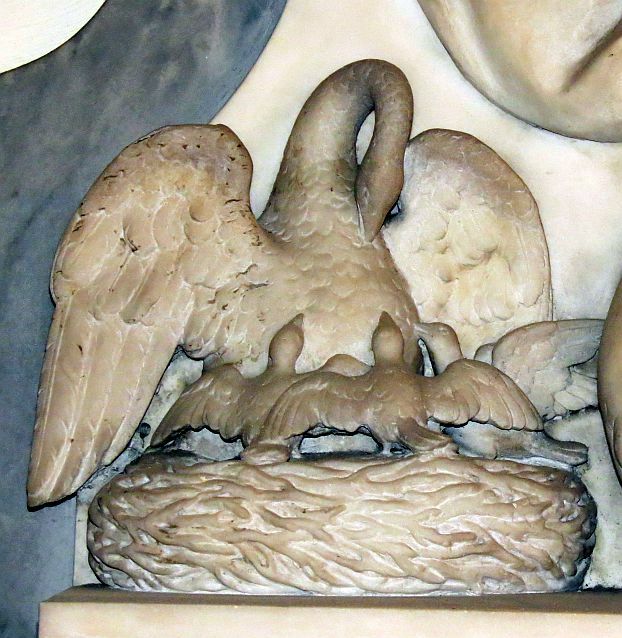 As noted, his work is widespread, and many churches and cathedrals hold examples of his monuments. Perhaps my favourite example is that to Lord Henniker in Rochester Cathedral (1806). He has several monuments in St Paul's, and we might also mention the Solly and Ellis monuments in Worcester Cathedral, the Katencamp Memorial in Bath Abbey, and now in the V&A, the Anna Rhodes memorial. 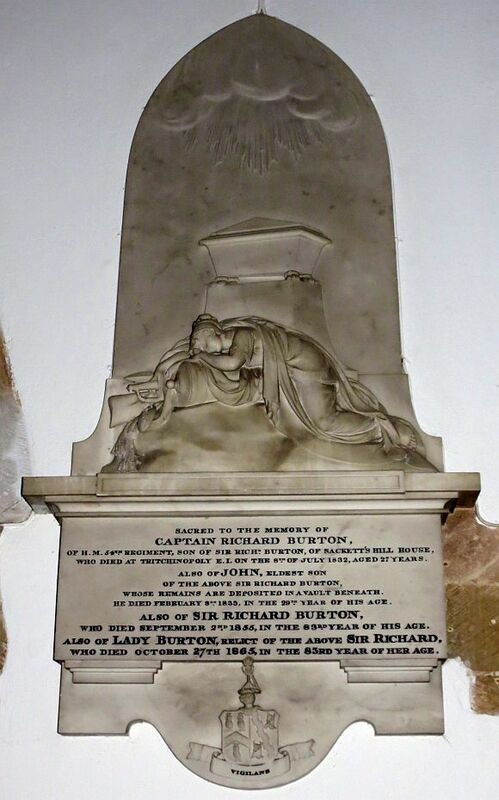 A typical monument by Bacon, to George Gostling , with a Classical girl mourning next to a funeral urn, is in Twickenham Church; among many others, a pair of Classical girls can be seen in Epsom Church, and are shown on this page; a classical urn above an architectural trophy is shown on the St Mary Paddington Green page; and a most spirited girl with an Aladdin-style lamp is in St John the Evangelist Church, Stoke-next-Guildford, Surrey. The example below is from St Peter in Thanet, Kent. Example of Bacon Jun monument with relief figure sculpture .